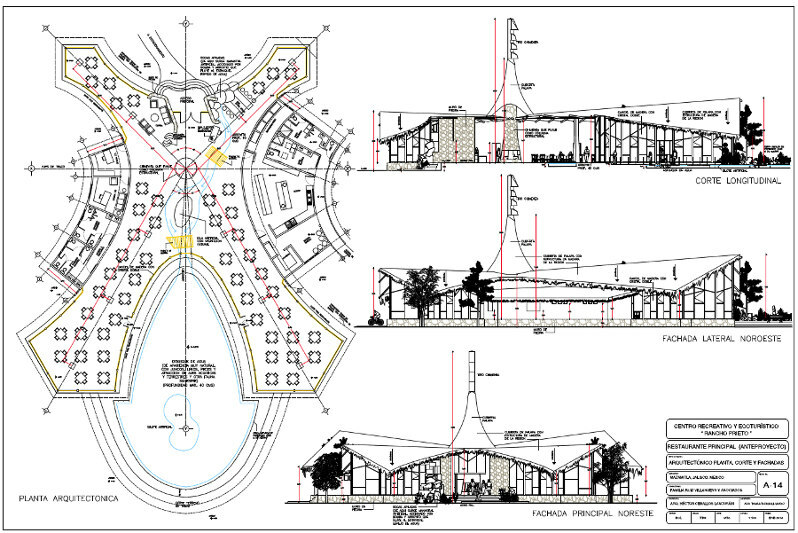 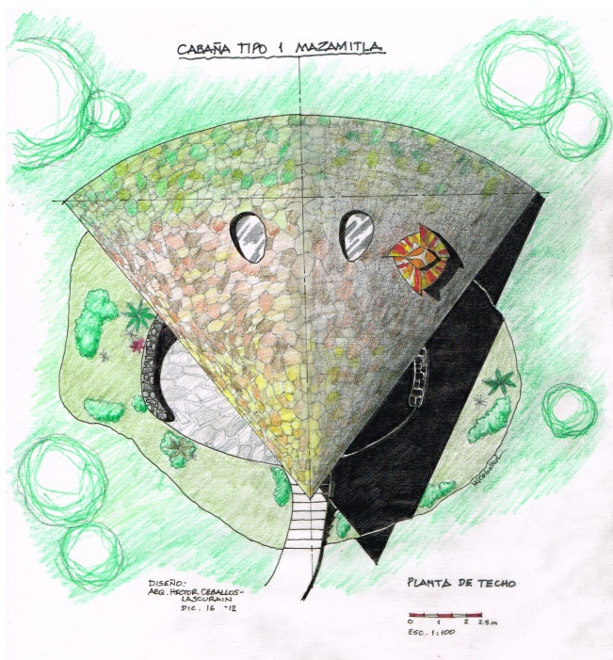 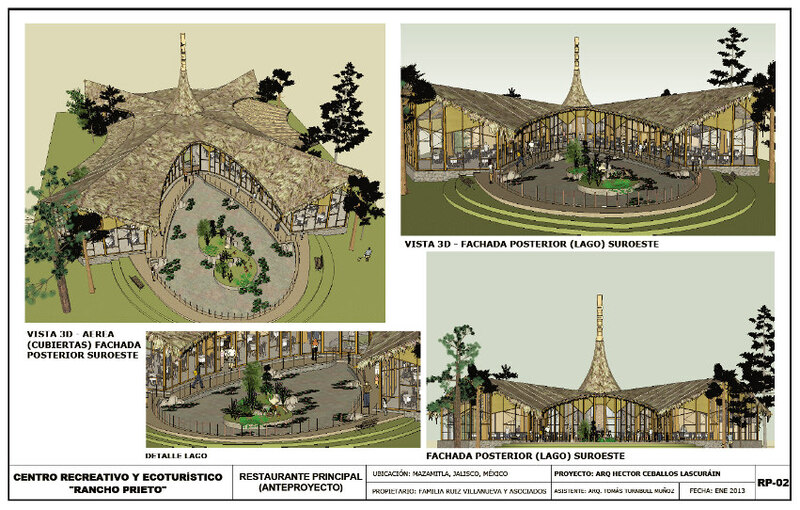 MASTER PLAN AND ARCHITECTURAL DESIGN OF RANCHO PRIETO RECREATIONAL AND ECOTOURISM CENTER IN MAZAMITLA, JALISCO, MEXICO, FOR JORGE FRANCO AND THE RUIZ VILLANUEVA FAMILY. 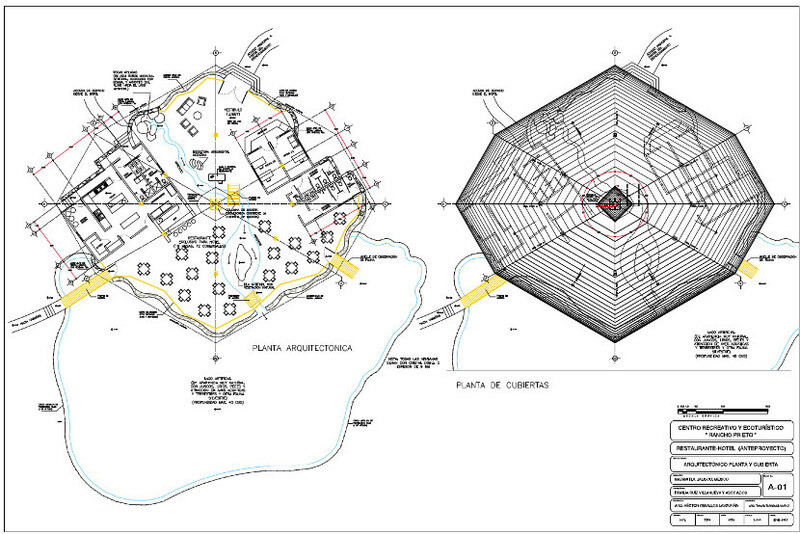 Total area: 109 hectares. 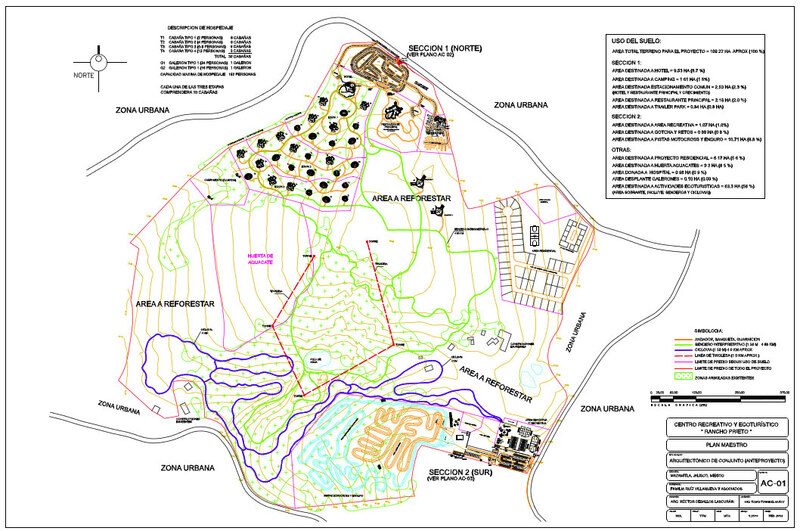 Includes 2 restaurants, ecolodge, offices, youth hostel, nature reserve, ecological lots, recreational areas with 4 zip-lines, bicycle trails, cliff climbing area, nature trails, camping area, animal farm for children .